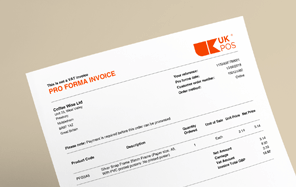 Using the correct POS at events is vital. 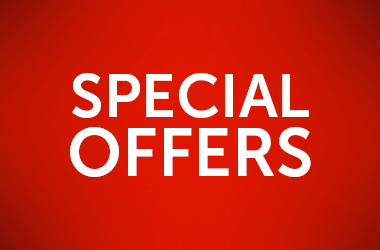 Whether it’s a national show, a university open day or an in store event, your location, plan and offers need to be clear. 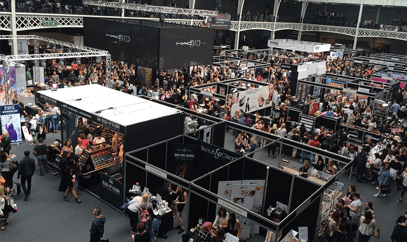 Events should utilise both indoor and outdoor POS to make sure their venue stands out and it is clear how to get there. 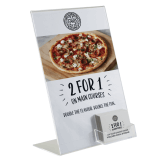 Flags and Pavement Signs are ideal for attracting the attention of passing trade, while the options for indoor POS are endless. 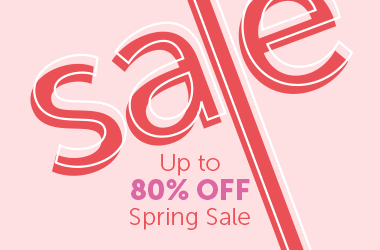 Make your products and service stand out with POS. Events tend to be one offs, meaning people haven’t been before, don’t know what to expect or exactly how to get to you. 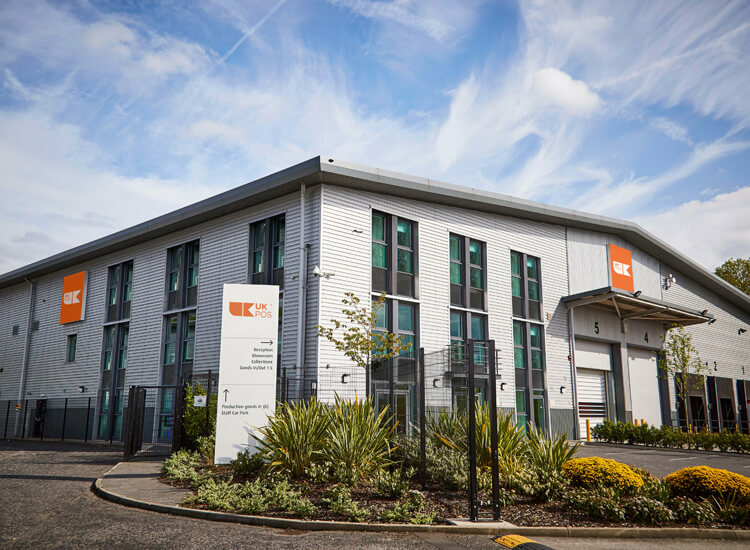 Using a number of Pavement Signs to direct people to your opening will not only aid customers already planning to go to your event, but it will also attract passers by who weren’t aware of your event. 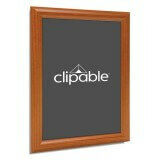 Pavement Signs can also be used indoors. 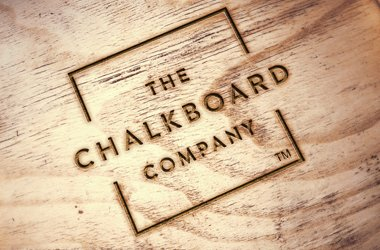 If you are part of a large retail exhibition with a designated area, an A Board can help make your display stand out in a busy arena. 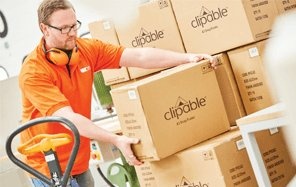 A visitor might be really interested in your product or service, but not ready to commit on the day of your event, so ensuring they can take some literature home with them is important. 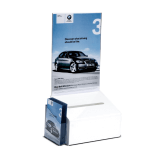 Use Counter Top Leaflet Holders around your display area to maximise the visibility of your leaflets, brochures or application forms. This is a great tool for university open days, where students will be looking to gather information from all their chosen schools to go back home and read at their leisure. 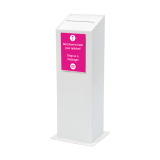 If you are a retailer opening a new store or launching a large range, Brochure or Magazine Dispensers are great for displaying your full product catalogue for visitors to take home. 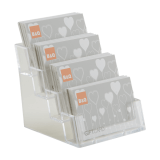 Along with Leaflet Holders, Business Card Holders are essential for ensuring potential customers have all the details they need for future purchases. 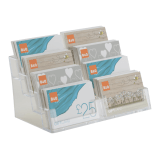 Display them on your counter tops in key places such as waiting areas, by your till or on your promo stand. 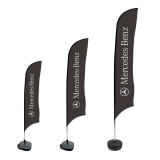 If you really want to make your venue stand out, then an outdoor event Flag is the perfect accessory. 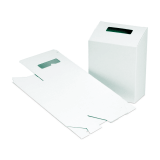 They can be printed with your company name, logo or event name so that you can be easily found and stand out. They are available with a variety of bases so that they can be fixed into your outside ground or even used indoors with a water base. 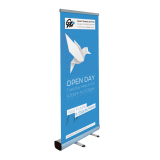 An indoor alternative to a flag is a Roller or Fabric Banner. 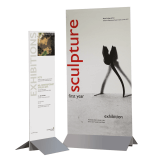 These can be placed by your entrance or by your display stand to make it clear instantly who you are and what you are offering. 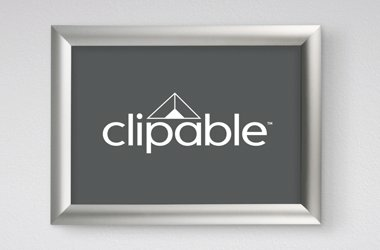 The best way to display posters at your event is with a modern Snap Frame. 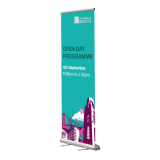 Nearly all event types will use posters, from school events, retail events to local charity days. 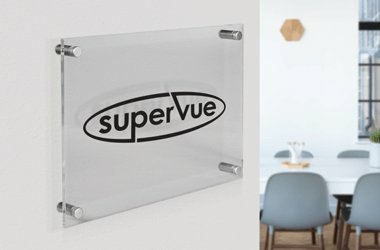 Snap Frames can be used indoors or outdoors and come complete with a PVC UV anti-glare protective cover to ensure your posters look their best at all times. They come pre-drilled with fixing holes and the correct fixings to be permanently wall mounted or for a more temporary fix, they can be stuck with foam adhesive tape. 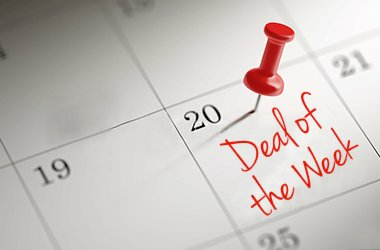 Perhaps you are looking to gather customer feedback about your event or new product. If so, a simple and cost effective way to do so is with a Suggestion Box. 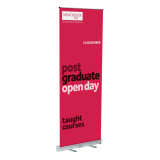 Available in a variety of sizes and material, they can be ideal for one off uses at events. 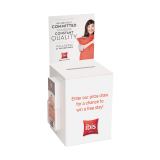 A way to encourage people to interact with you at your event is with a competition and a Suggestion or Ballot Box is a simple way to collect your entries.